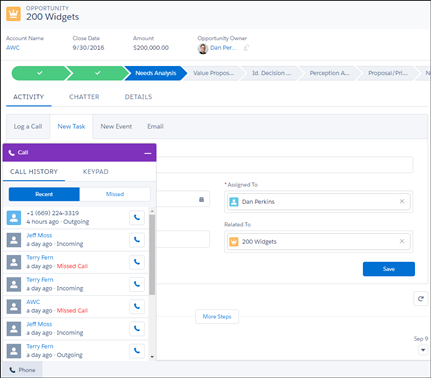 Winters are here and guess what – the Salesforce Winter ’17 release is here to provide you with all new Lightning capabilities – specially designed to improve your interactions with your customers. So, what are the key features that make this Salesforce version smarter and more efficient in making more accurate predictions in context to your marketing campaigns? The power of artificial intelligence is unleashed in the Winter ’17 release. Let me enlist a few pointers on what you might have missed from the Salesforce Winter ’17 Release. The Winter ’17 release has the Top Deals, News, Assistant and Performance Chart on the home tab – which was not there in the Salesforce classic version. You can now access key performance metrics, customize the dashboard to suit your viewing requirements and access rich data through a simple mouse hover on the relevant tabs. The Sales section is improvised with unique features like the lightning voice that ensures easy access to call history, notifications of missed calls and forward calls. The lightning capabilities enable you to distinguish priority sales leads based on sales values and use data analytics to identify sales opportunities. The new updates provide reflective insights on your customers using historical information to estimate industry standard conversion lead time and analyze key conversion metrics. The Salesforce Spring’17 Release is designed to facilitate effective consolidation of marketing and sales data to provide you with updated information on the performance of your sales campaigns. Click on the snapshot view of key performance metrics of individual campaigns to get detailed analytical insights into existing performance gaps and improve the sales effectiveness of your teams. The new Lightning experience offered by Winter ’17 release is compatible with multiple browsers including Apple® Safari® Version 9.x on Mac OS X only. The application is also compatible with the recent versions of Mozilla Firefox and Google Chrome. However, Microsoft Internet Explorer version 11 is not supported. The older versions of Internet Explorer will redirect the user to Salesforce Classic edition. The Winter ’17 release has redesigned the app launcher by providing users with easy access to available items and features. The app launcher has been moved to the left side of the navigation bar. The selected apps can be branded by adding custom colour and logo. Customize the view of your Wave dashboard using designer options. The feature allows users to create customized view of sales trends, monitor events, and manage sales and services with simple Wave interface. 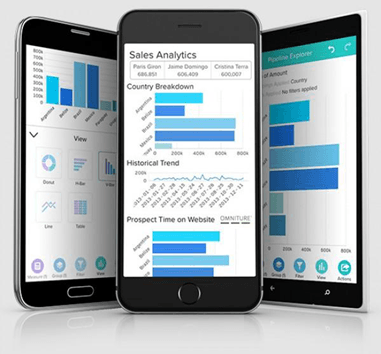 The tools supported by Wave Analytics makes it easier for you to manage sales data and analyse business trends. An interesting feature supported by Salesforce Winter ’17 release is its ability to sync with Google Calendar. 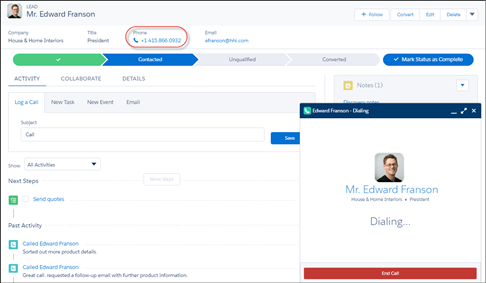 Sales representatives can now view, track, manage and share their appointment or event details through the Salesforce app using this auto sync feature. To know further about how you can make the most of latest Salesforce features, to optimize your existing Salesforce instance or to start from scratch just drop us a line at info@signitysolutions.com, and we’d be right there with custom solutions to exactly suit your unique business needs.